The majestic Texas Longhorn is an icon of Texas and the Southwest culture. It represents ranching, the American cowboy and the pioneer. Our history and the Texas Longhorn are inseparable. The TLBAA is dedicated to preserving this symbol of our heritage by protecting the pedigree, supporting and recognizing breeders, and educating the public on the numerous benefits the Texas Longhorn offers cattlemen. 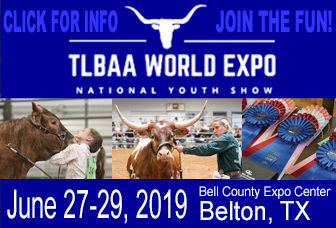 The TLBAA is a nonprofit organization working to protect the integrity of the Texas Longhorn by providing guidelines for desirable breeding practices, promoting public awareness of the breed, and advancing the scientific knowledge of historical and future breeding practices. It’s our goal to preserve the legacy and distinct characteristics of the Texas Longhorn while ensuring its purity and posterity. 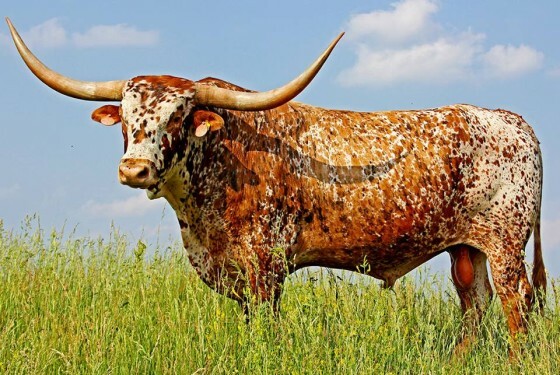 Less than 40 years later, the Longhorn was closer to extinction than the buffalo. In 1927, the Federal government stepped in to help preserve the Texas Longhorn and a great part of our American heritage. Congress assigned forest service rangers, Will C. Barnes and John H. Hatton, to the task and these two men put the first herd together for Wichita Mountains Wildlife Refuge in Oklahoma. Gradually, more breeders started raising private stock, recognizing the value of Texas Longhorns. The need grew for breed standards and a direct line of communication between the Longhorn breeders. From there, the TLBAA was formed.